Don’t fancy camping? 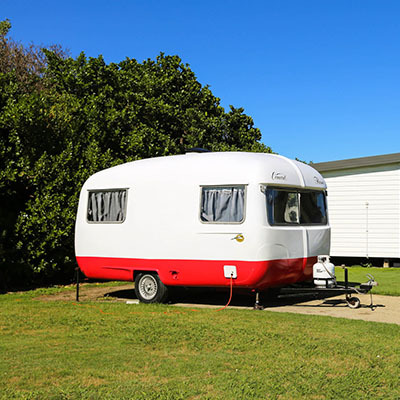 Our self-contained units are the perfect accommodation option for any occasion. Queen bed and single set of bunks. 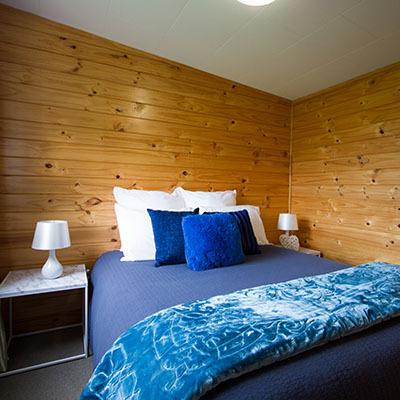 Separate bedroom, modern kitchenette and bathroom, TV and free WiFi. 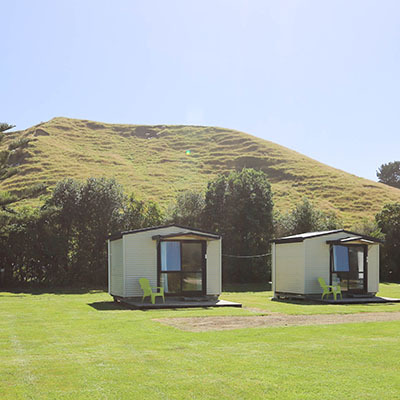 Modern standalone cottages that sleep up to 4, with an outdoor decked area, all with playground and park views. Each cottage has a kitchenette, with fridge, jug and toaster. 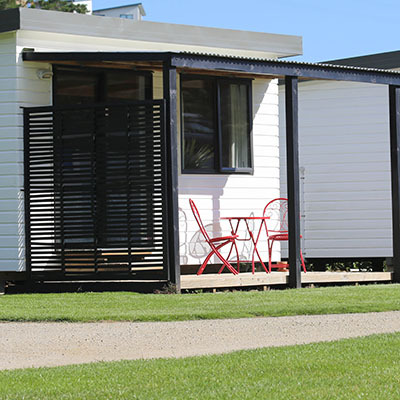 These private, standalone chalets are modern, warm, with decks and a veranda to relax and enjoy the sunshine complete with views over the park. Each chalet has a fridge, jug, toaster and crockery provided. 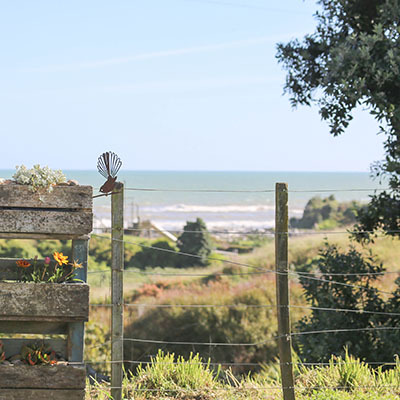 Park up on a hard pad and enjoy stunning seaviews from these powered campervan sites. Best suited to single vehicle set-ups! Includes a 16A power supply for your vehicle. Power up your campervan, caravan, or your tent. With options close to our facilities, children’s playground and beach, perfect for whatever type of camping experience you are after. The traditional Kiwi holiday experience! Plenty of space for a tent, or to park your small motorhome. 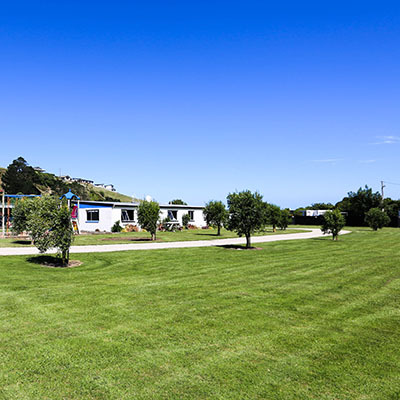 All sites within walking distance to the beautiful Kai Iwi Beach.